A highly experienced team is willing to stretch the boundary and make sure that solution provided is in sync with latest developments in the marketplace. To achieve this, we extensively and proactively leverage emerging technologies and trends. We are very excited about emerging new technologies especially, digital technologies, cloud and mobility based solutions, development & delivery, and advanced analytics. 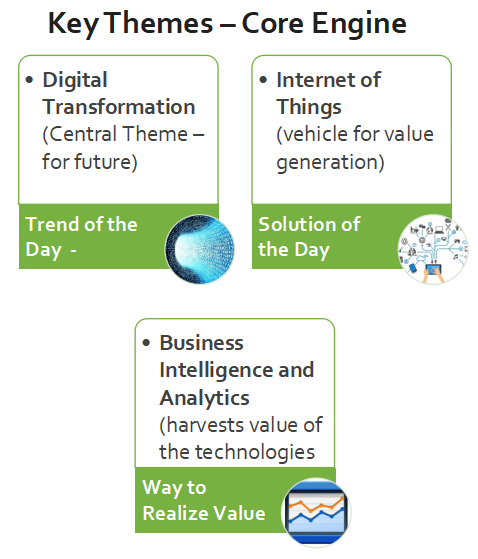 These technologies have tremendous potential to create value for both business and customers. We believe that legacy has to smoothly pass baton on to the emerging technologies and we help this by providing the related consulting services for a smooth transition.